Sending warm thoughts to all enduring the extreme cold stormy weather. 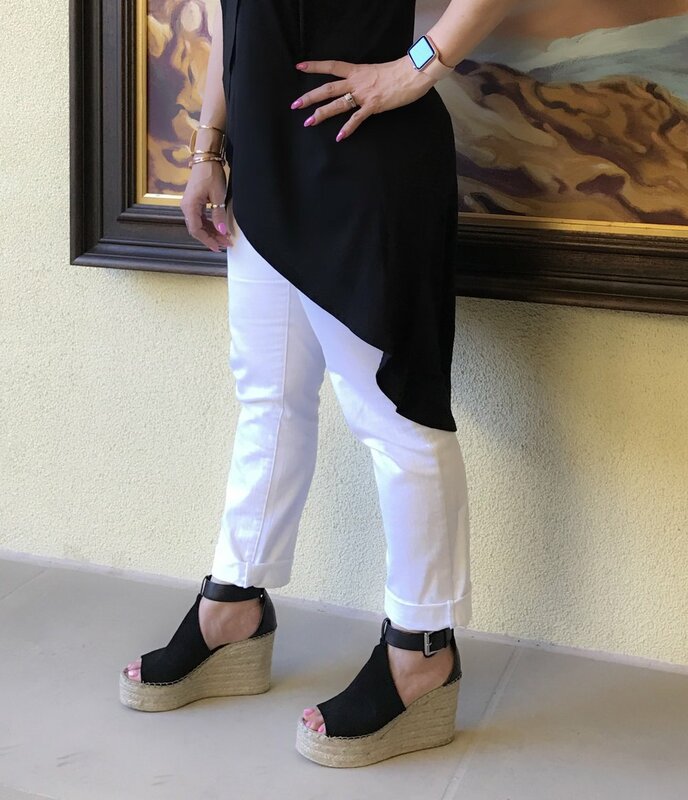 Today I am wearing and so fascinated with this Cindy Tulip Top in classic black MKC Go Glam-Go Casual ...Sleeveless tunic top with extra-long cross over tulip hemline. This top comes in Small to 3X sizes. Marc Fisher Women's Annie Perforated Espadrille Platform: Perfect Spring sandal with a touch of edgy! This perforated vamp connects an open toe and cutout ankle panels in this breezy platform wedge lifted by layers of artfully braided jute. KUT From Kloth jeans have such an amazing fit. These jeans come in a variety of styles colors and sizes ranging from 0-plus size.